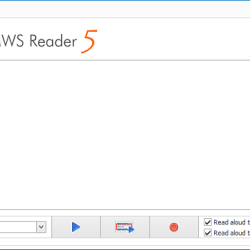 MWS Reader 5 will read out loud documents, emails, web pages and text from any application for you with Text to Speech! 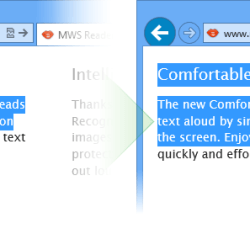 Simply select any text and click on the MWS Reader icon (Mouth icon) near the selection and the text will be read aloud! 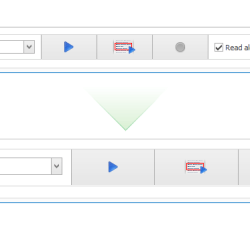 Simply select any text on the screen and with one click have it read out loud. 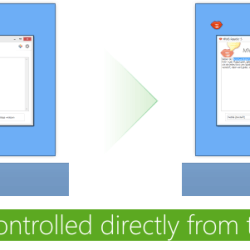 Enjoy large bodies of text quickly and effortlessly! MWS Reader automatically detects and reads out text from scanned images, photos, eBooks or protected PDF files. Convert Text to MP3 and WAV, send as an audio message and playback on the go with your smartphone or MP3 player. Try out now reading aloud online using the MWS Reader program window. 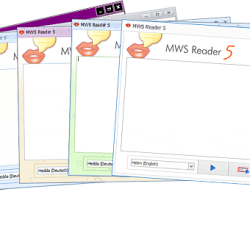 Then download the reading aloud program MWS Reader 5, enjoy all the features and try out more natural sounding voices. Sit back, relax and enjoy the Text to Speech read aloud experience anywhere on your computer with the amazing ComfortRead function! 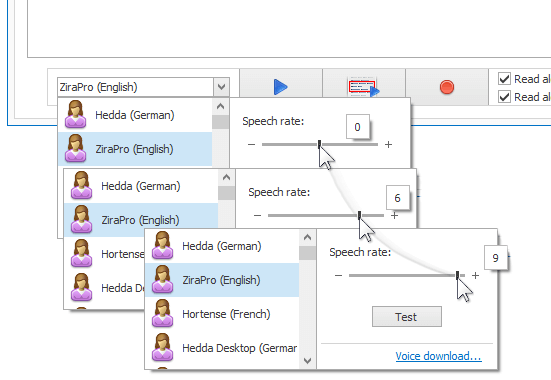 Get the best Text to Speech Program and a new freedom in use of your PC! Save time and get more done by listening to your texts. 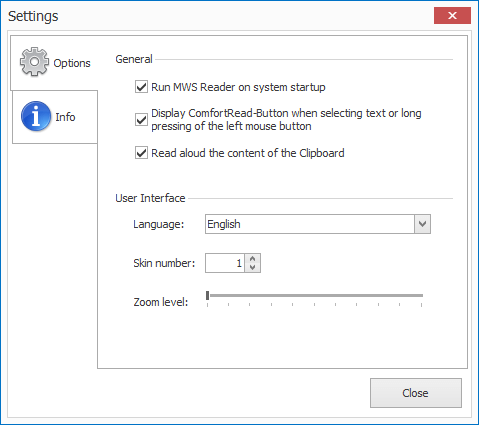 How can I use MWS Reader? Large texts such as documents or emails can be read aloud quickly and without effort. Makes everyday life easier — saves time, effort and reduces eye strain. 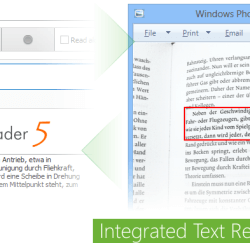 Read aloud printed books and magazines with the ComfortRead (OCR) function. Assistance for the visually impaired or blind — a real help in everyday life. Improves reading ability and language understanding (including dyslexia). Helps to increase own reading speed by simply reading along. Facilitates reading, memorizing and understanding of large volumes of text. 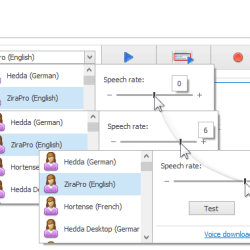 Find typing errors and correct sentence construction through listening. Refine ideal linguistic form for meetings, presentations or speeches. Foreign language learning — improve listening comprehension and pronunciation. Practice and improve spelling while text is being dictated to you. School and college exam preparation — reads aloud lecture slides and scripts. The psychology of learning indicates that around 50% more information is retained by listening while reading compared to reading alone. Create easily your own MP3 eBooks, save them to an USB stick or smartphone and listen on the go. Dub movies, record voice messages and model railway announcements. 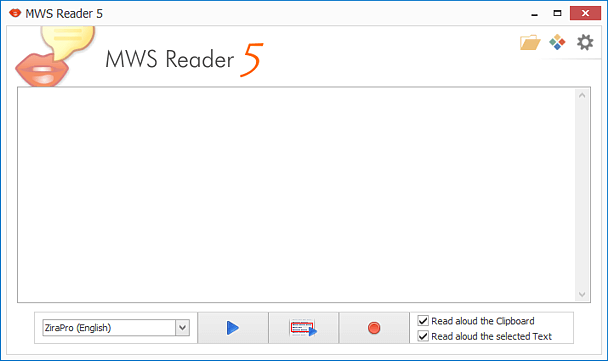 Download and try out the new MWS Reader 5 for free. 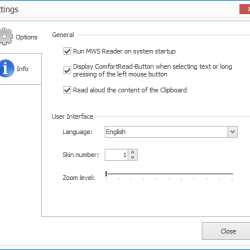 Any text from any software can be read out loud with MWS Reader! Below are some details of MWS Reader 5.